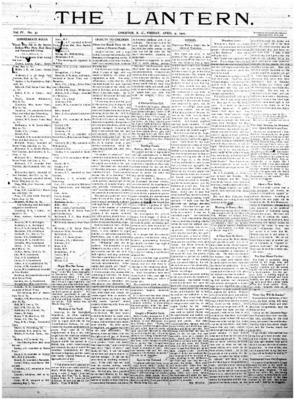 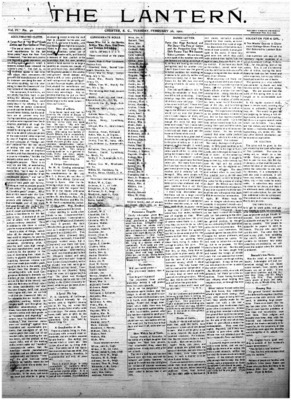 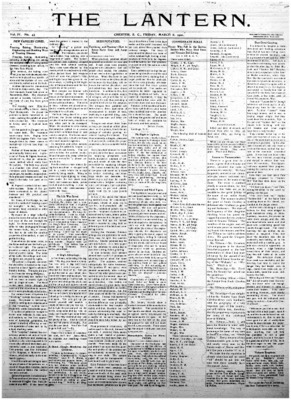 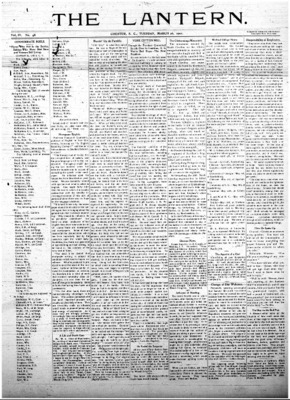 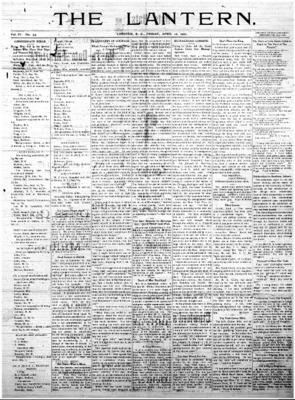 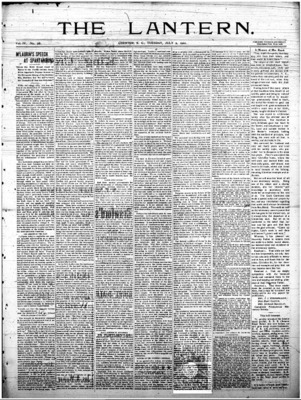 The collection consists of individual issues of The Lantern a newspaper printed in Chester, South Carolina from 1897 until 1913. 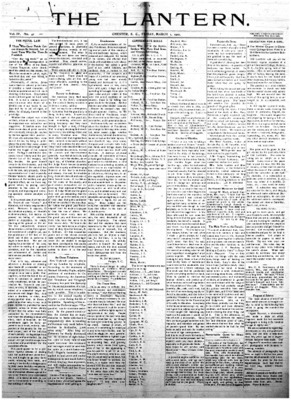 The editor was J. T. Bigham. 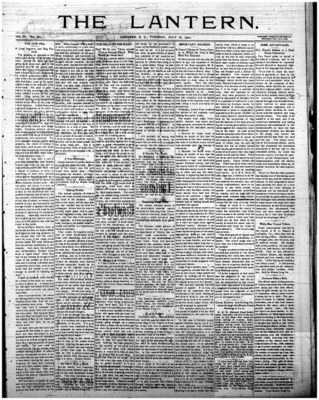 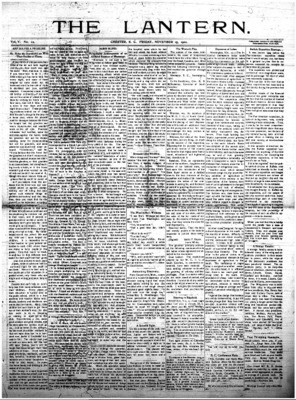 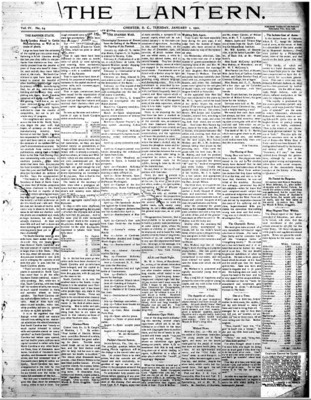 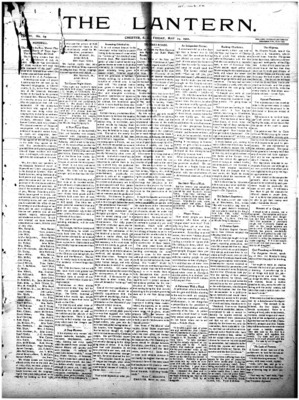 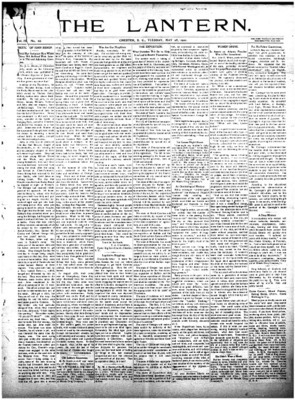 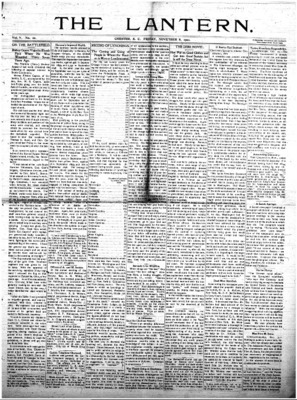 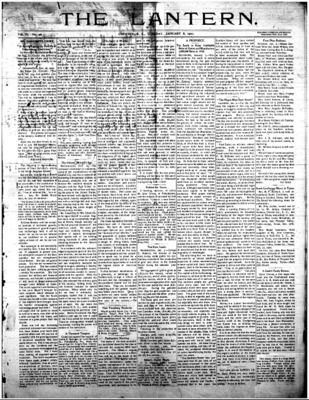 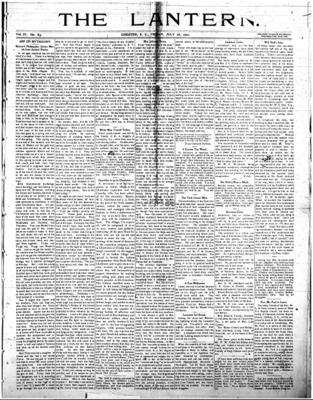 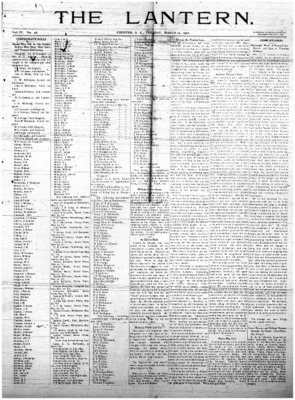 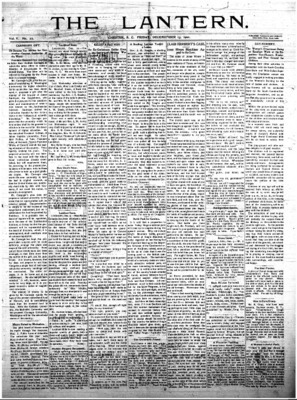 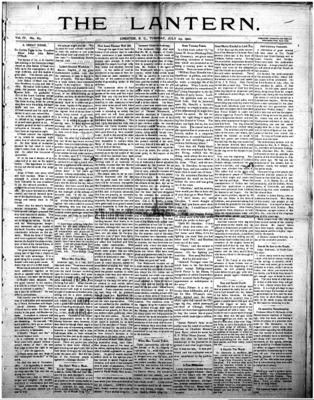 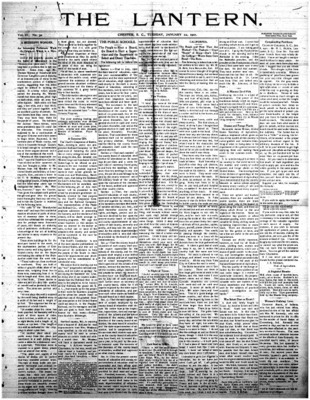 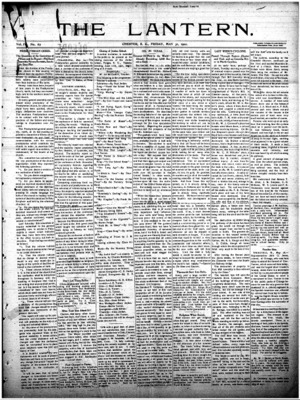 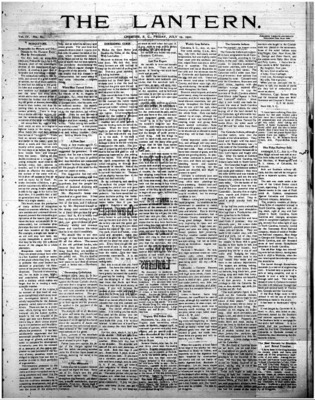 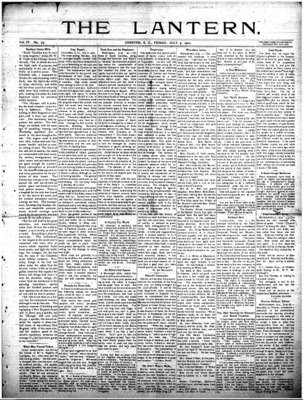 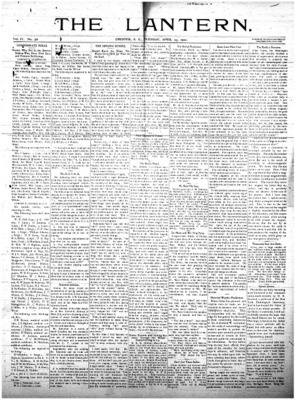 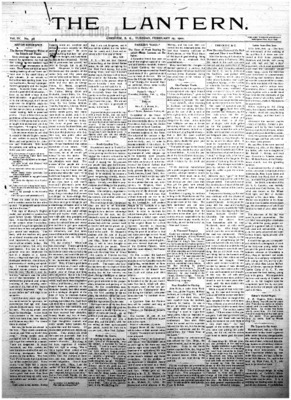 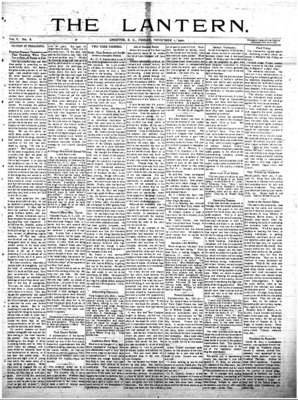 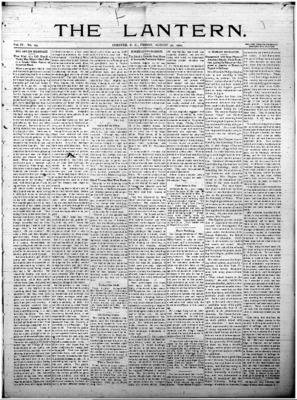 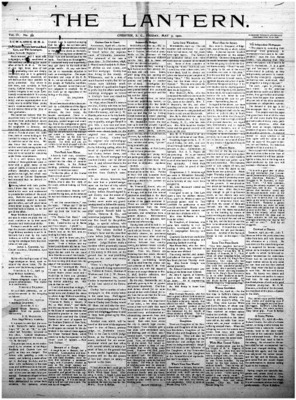 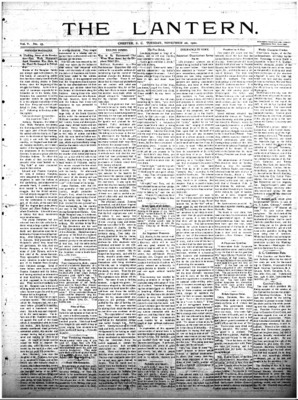 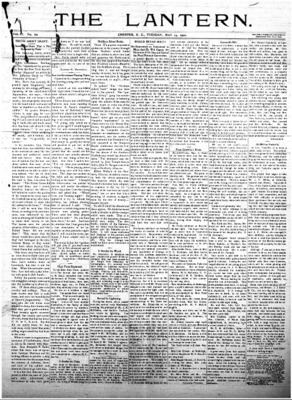 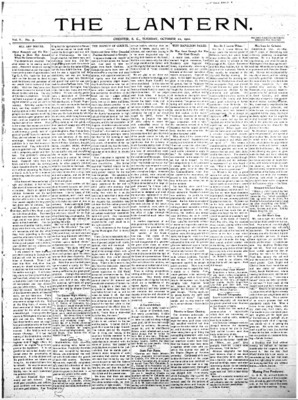 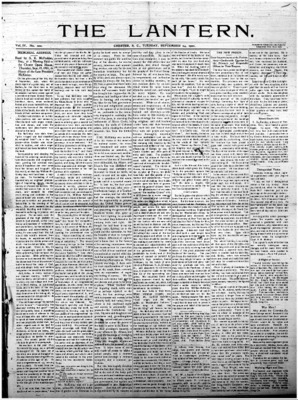 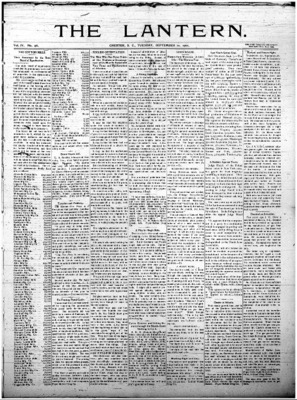 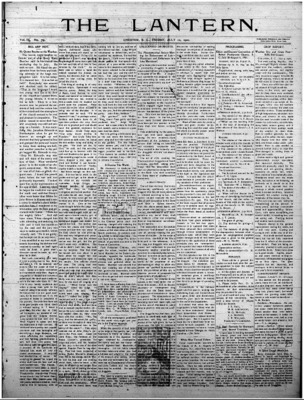 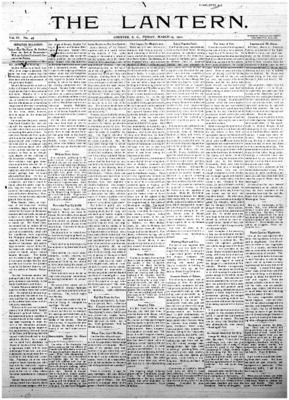 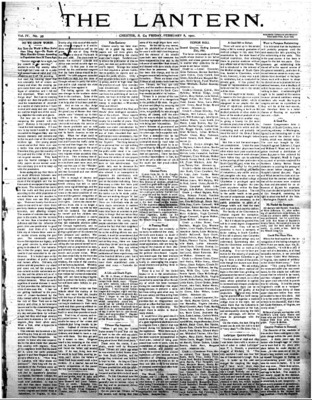 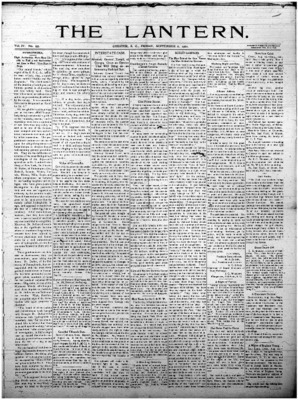 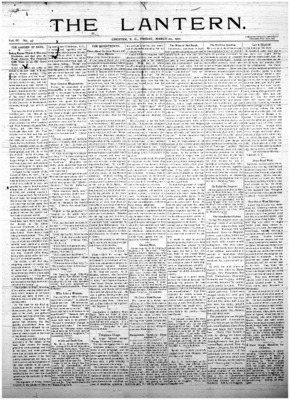 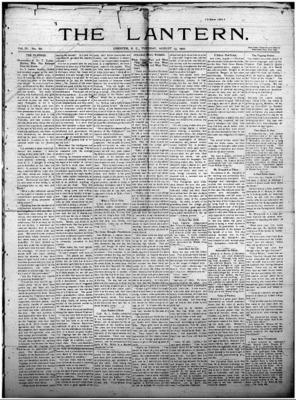 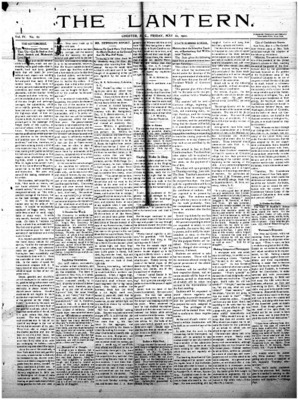 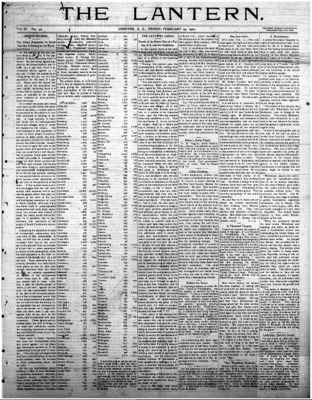 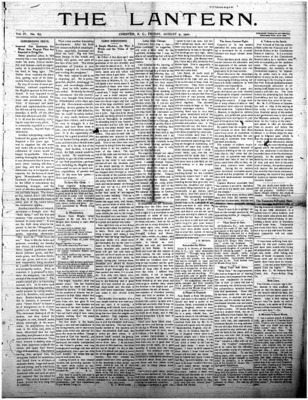 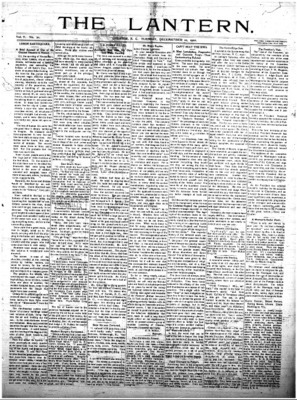 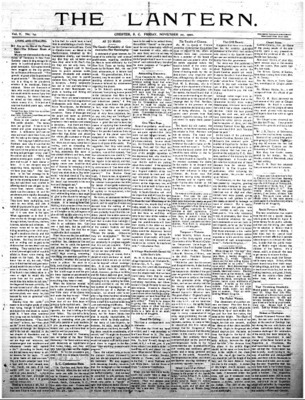 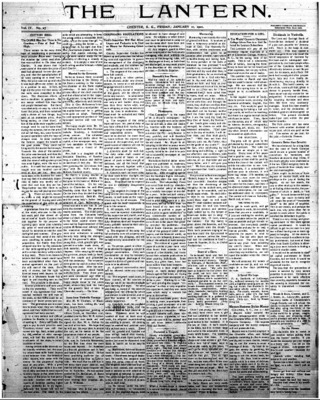 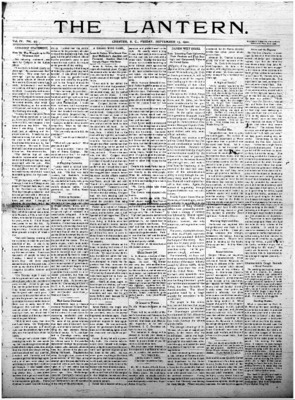 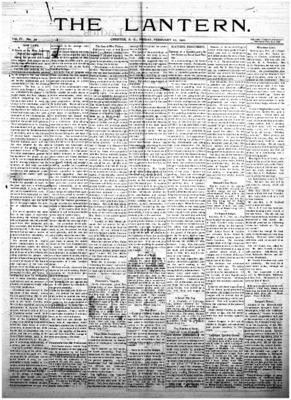 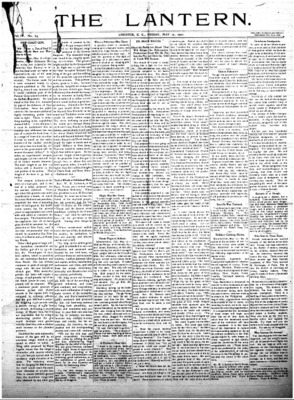 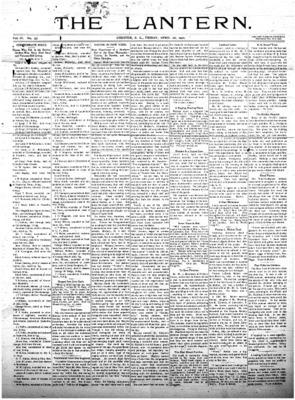 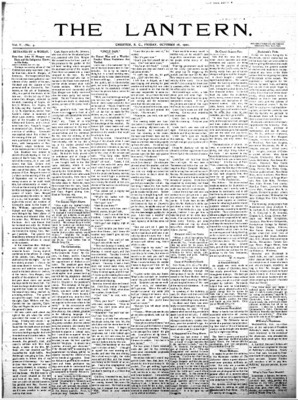 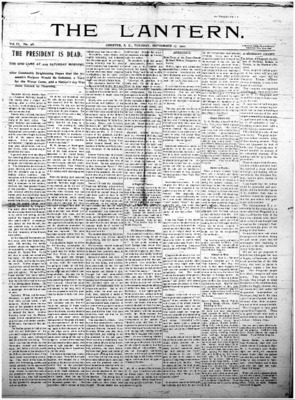 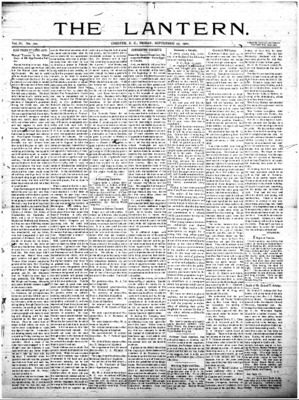 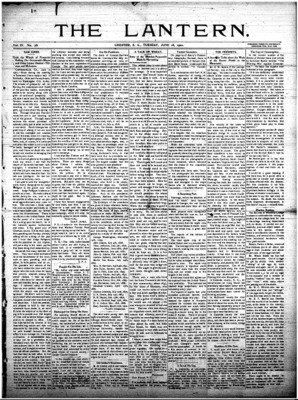 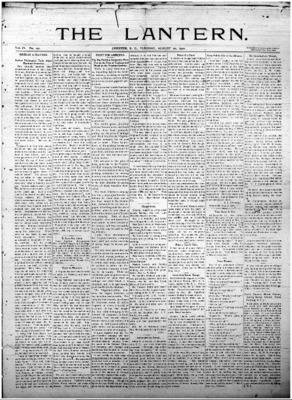 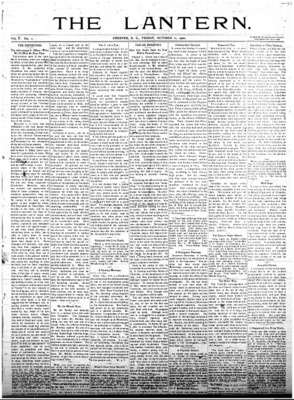 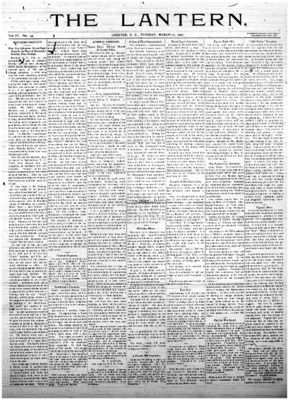 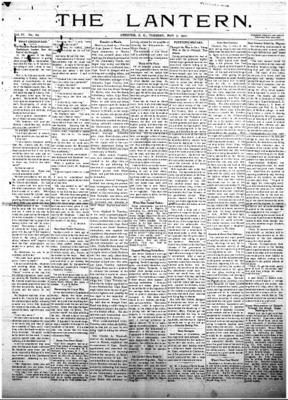 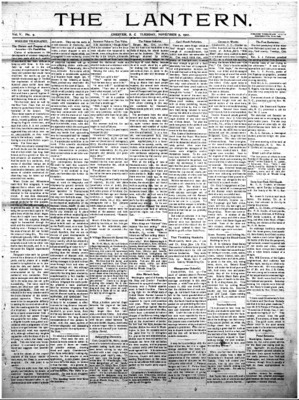 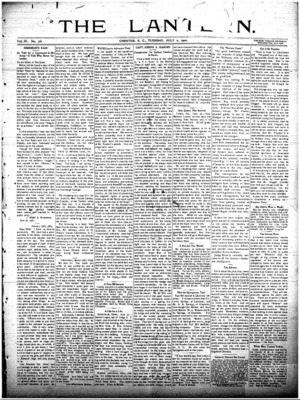 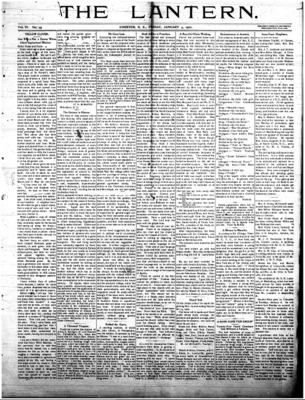 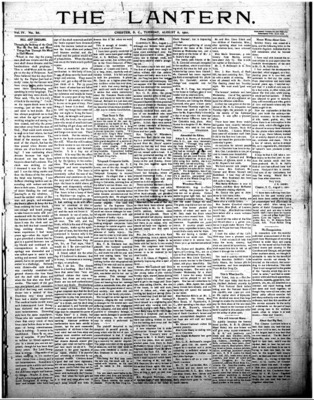 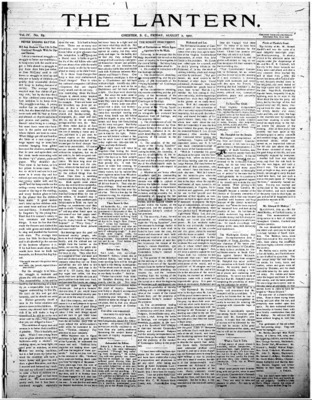 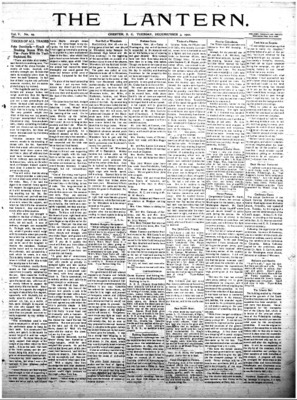 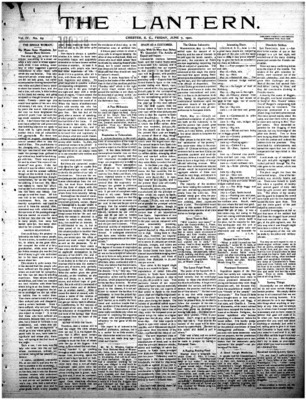 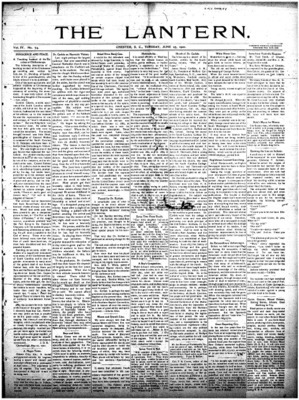 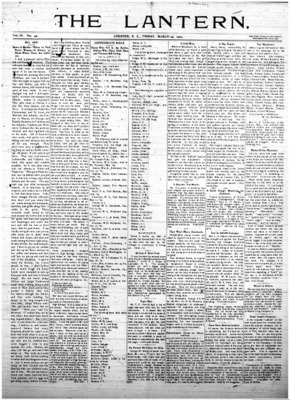 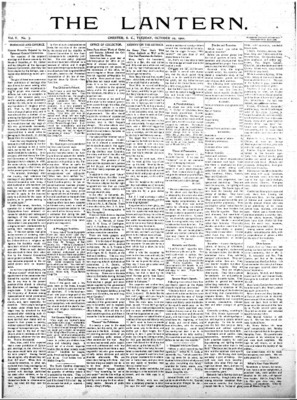 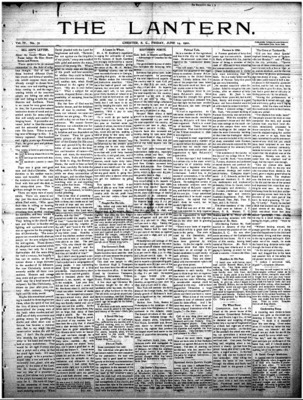 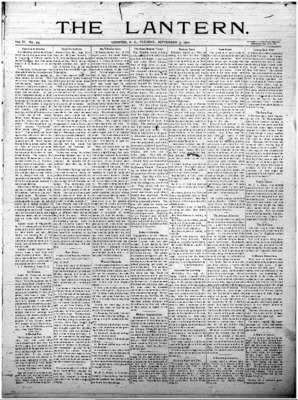 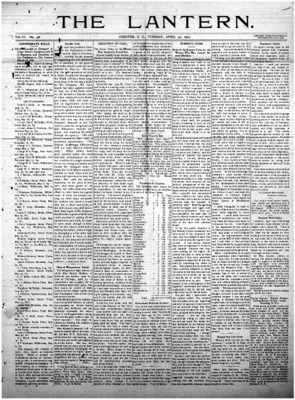 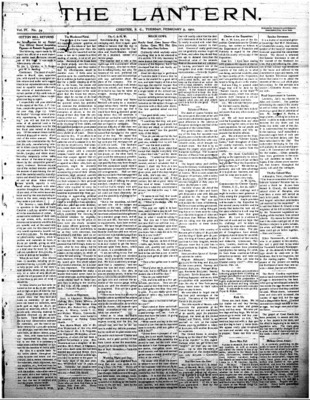 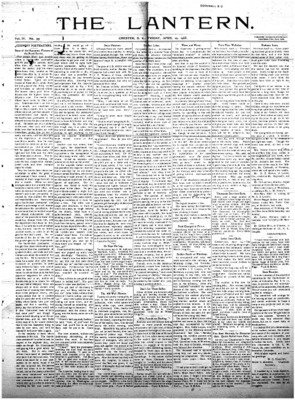 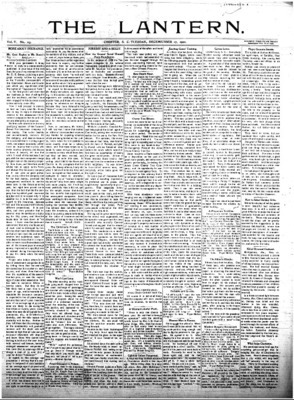 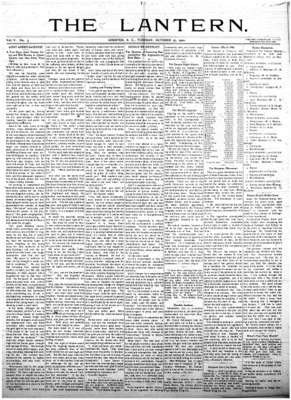 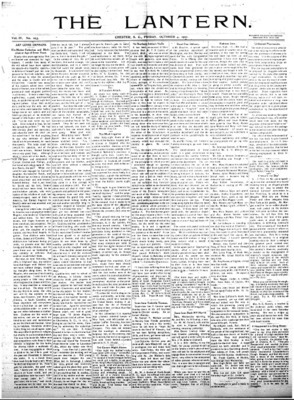 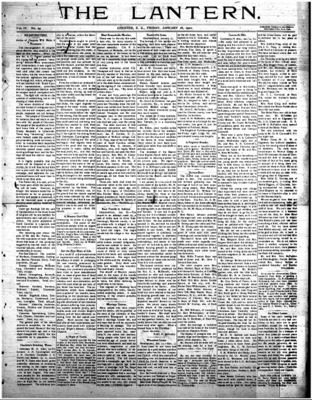 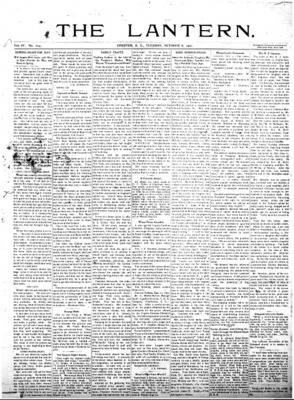 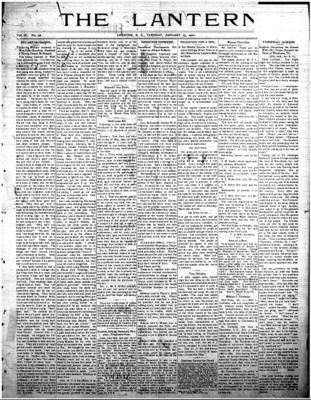 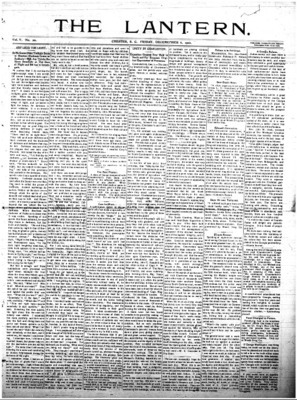 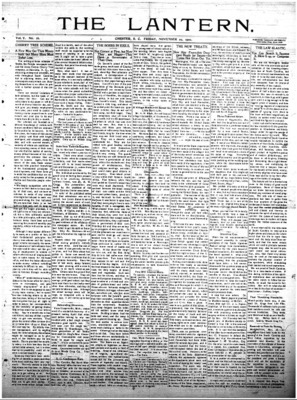 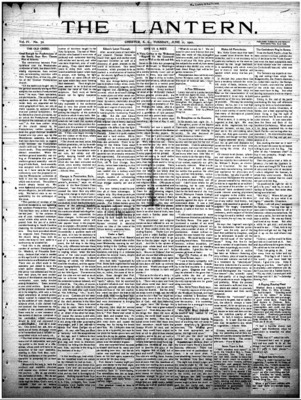 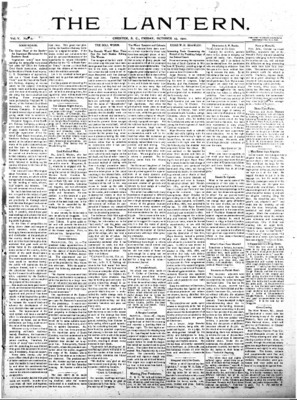 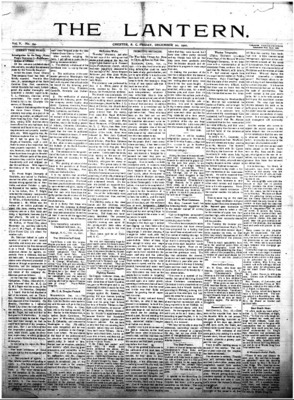 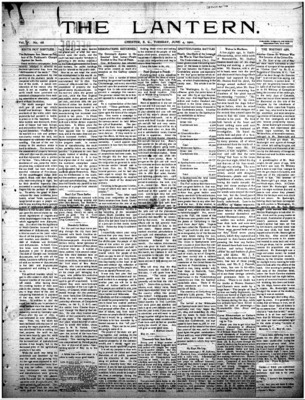 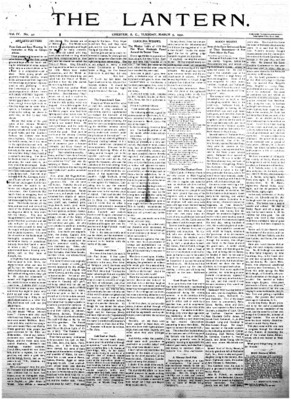 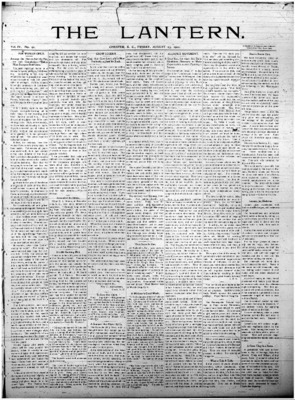 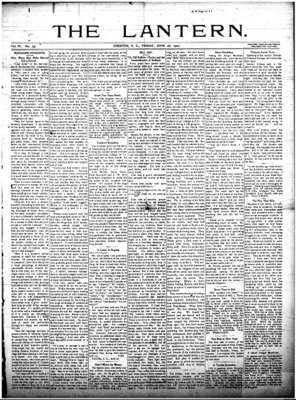 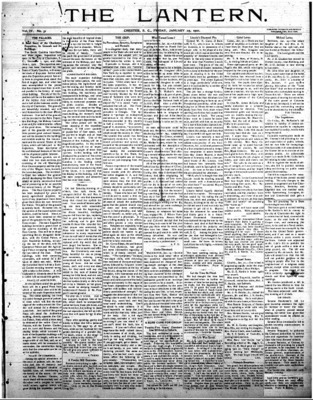 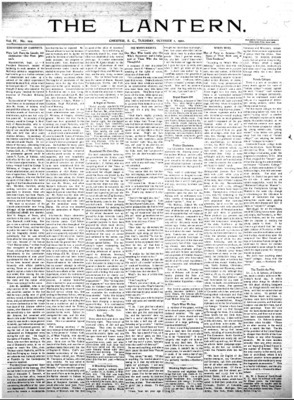 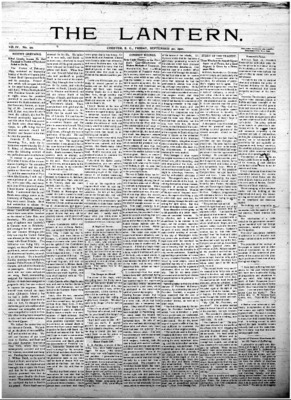 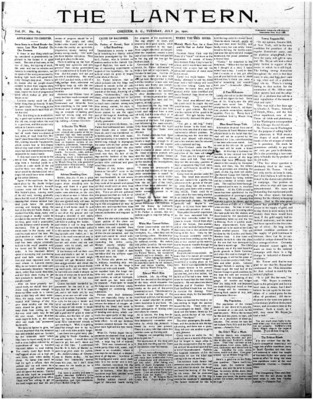 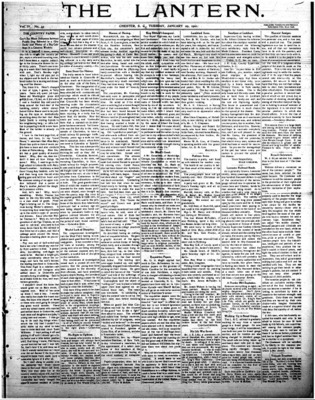 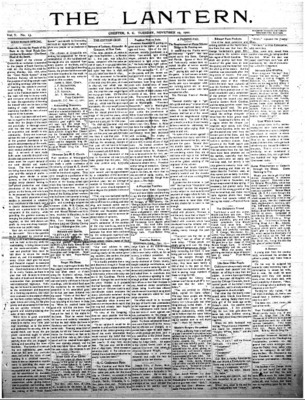 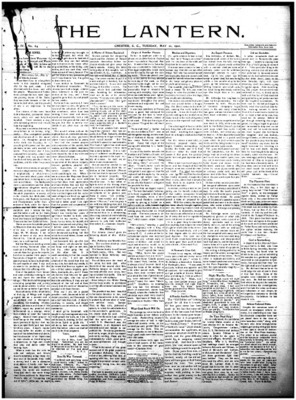 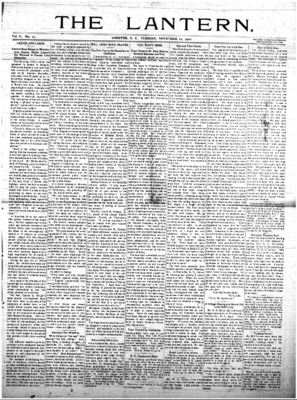 This issue, scanned from microfilm, is date January 1, 1901 ( volume IV, number 24).